Every ninja and outdoor addict knows that sometimes it’s better to blend in than stand out. 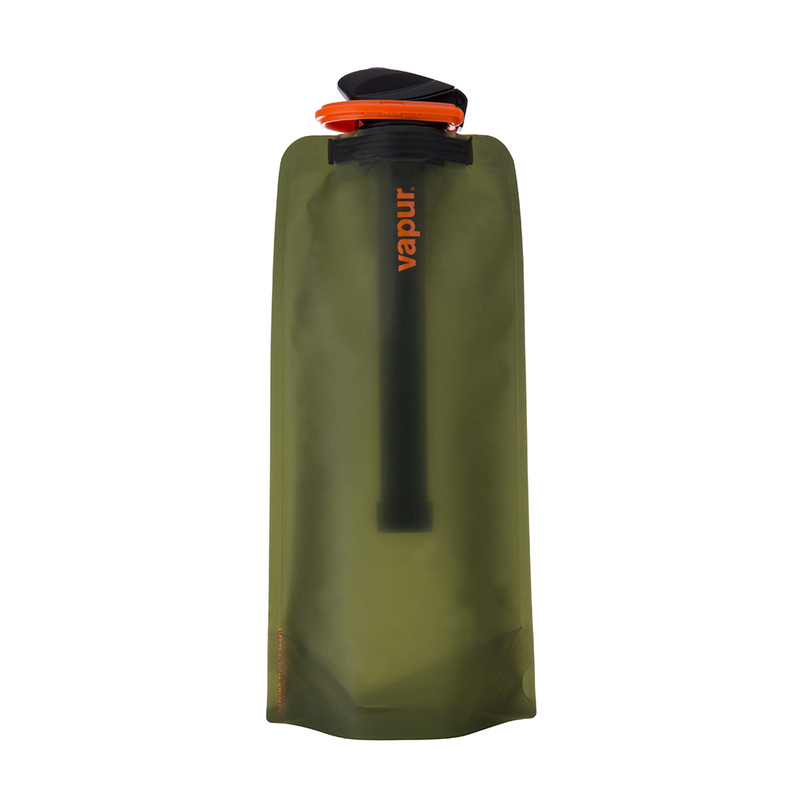 For those with a thirst for the wild, the Vapur Eclipse gives into the darker side of the Anti-Bottle. 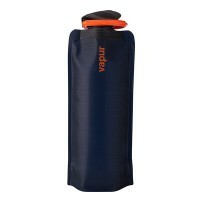 The Eclipse line comes in a matte finish, making this tough-looking Anti-Bottle soft to the touch. 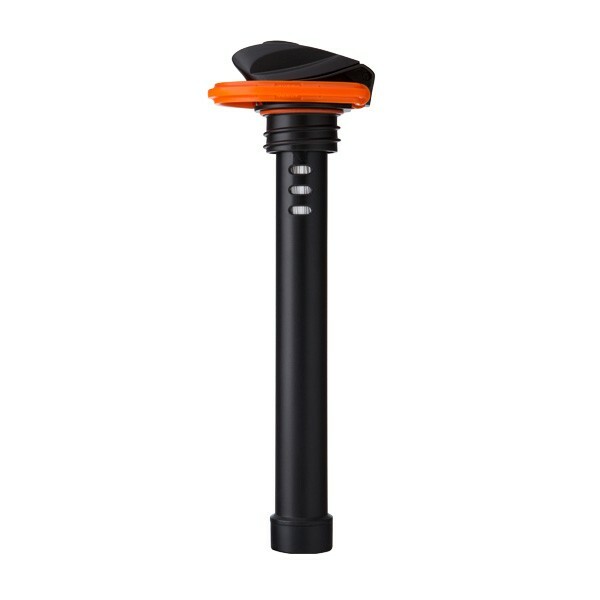 The Vapur® MicroFilter is a lightweight, chemical-free water filtration system that utilizes the most advanced hollow fiber membrane technology. The Vapur MicroFilter safely removes 99.9999% of waterborne bacteria (such as Salmonella, Cholera and E. coli) and 99.9% of protozoa (including Cryptosporidium and Giardia). 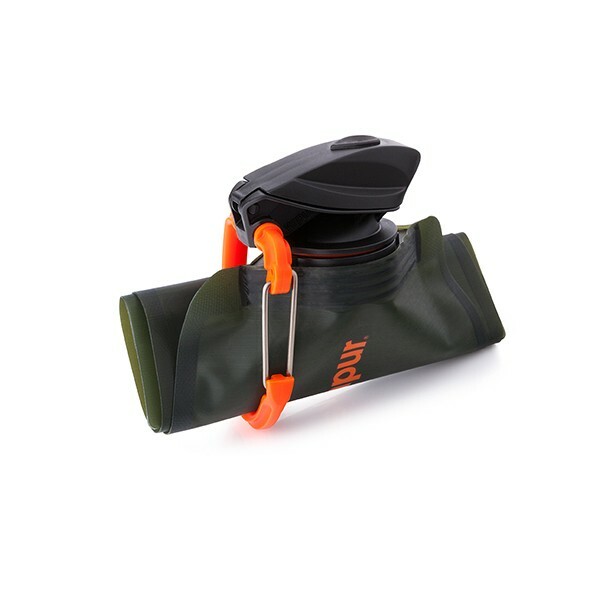 Together, the bottle and MicroFilter weigh just 2.7 ounces, and the filter is capable of purifying hundreds of liters of water from lakes, rivers, streams and tap water over its lifespan. 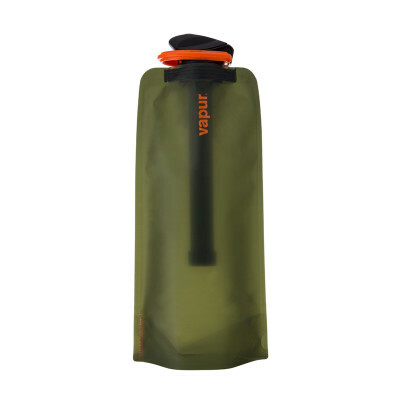 The Vapur MicroFilter is your new best friend for travel and backcountry adventure. Enjoy the journey. This product was created in California and manufactured in the United States (MicroFilter manufactured in Korea). 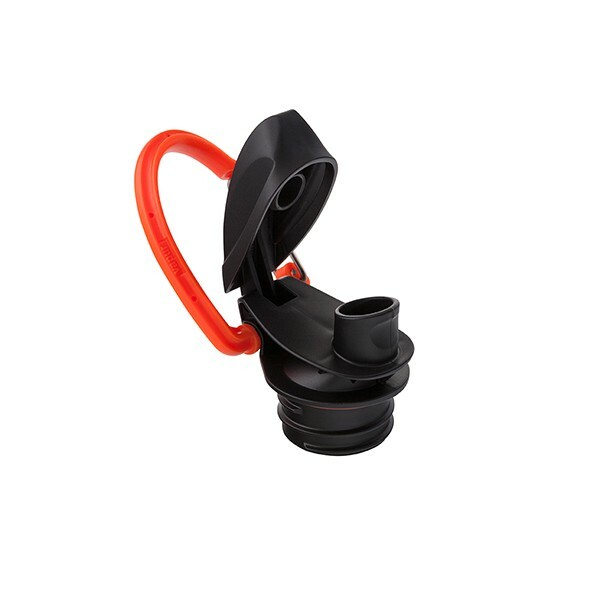 True to all Vapur Anti-Bottles, they are designed to withstand everyday use and regular cleaning. Removes 99.9999% of waterborne bacteria (such as Salmonella, Cholera and E. coli) and 99.9% of protozoa (including Cryptosporidium and Giardia). Be the first to review “MICROFILTER + 1L Eclipse - Olive” Click here to cancel reply.